Interior business signs encompass a wide variety of signage. Lobby signs display your logo and maybe your mission statement. 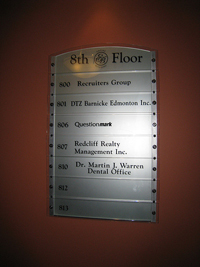 Directory signs help people find their way in an office or building. 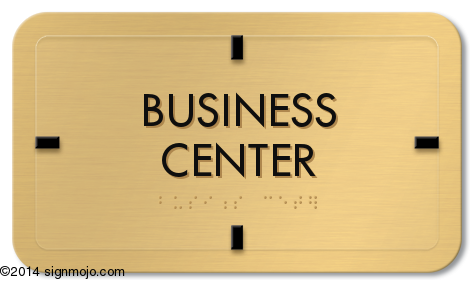 Room identification signs mark where specific rooms are located: rest rooms, conference rooms, cafeterias, labs, etc. 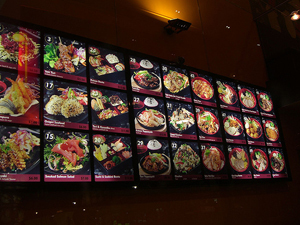 Retail signage includes point-of-purchase displays such as posters or banners promoting a product or service, menu boards, floor graphics leading people to a particular product on a shelf, and end-cap displays for sale items. Backlit frames can draw attention to new products or sale items. The walls of your business are blank canvases. Vinyl-lettering, wall graphics, or even custom wallpaper can be used to instill inspiration, promote company values,or highlight new products. ADA signs no longer have to be boring! 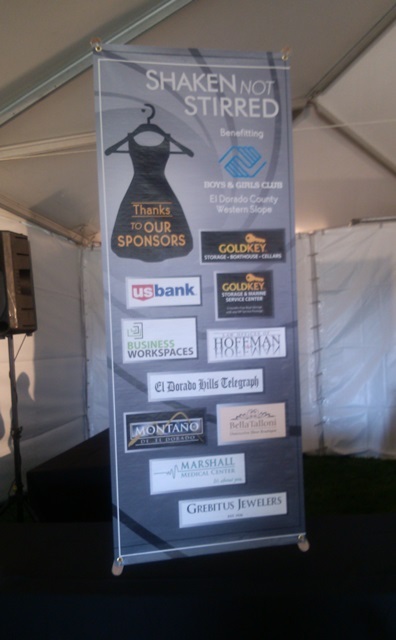 As long as the sign meets ADA criteria they can be customized to match interior designs and corporate branding. There is a wide range of materials available to customize ADA signs and the range of colors, as long as they meet the high-contrast criteria, is limitless. ADA signs are required where the public has access. 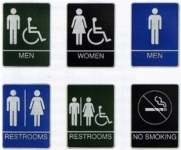 A few places ADA signs are required include: restrooms, stairways, elevators, exits, suite or room numbers. If, as in hospitals or nursing homes, rooms like janitor closet, mechanical room, kitchen, employee lounge, etc. all require ADA signs if they are in areas where the public has access.